Welcome back to my monthly post on character types! Today, because it’s so close to Easter, I’m going to be writing about another prominent character: Christ Figures. Unlike with my previous posts, instead of listing their characteristics, I will be going from character-to-character. 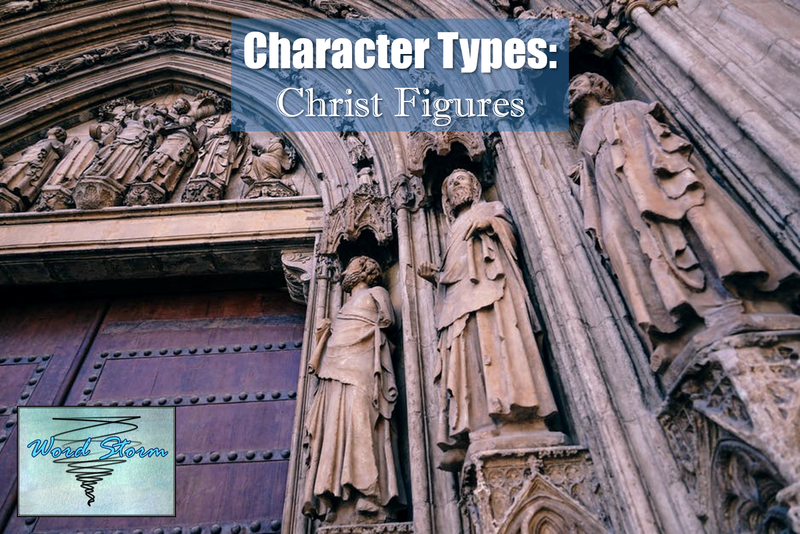 From popular classics to more obscure fiction, Christ Figures are prevalent. They are often misunderstood by others and their self-sacrifice helps save society/another character, whether physically, morally, or spiritually. Disclaimer: I’d like to remind my audience that Christ Figures are fictional characters. They should not be regarded as exact representations. Similarly, my views on such characters may differ from that of the reader, but I have done my best to abide by the examples presented in literature and what Scripture tells us about Christ. Because of the nature of this post, some spoilers may be present for The Lord of the Rings, The Chronicles of Narnia, The Giver, King Lear, and “A Good Man is Hard to Find”. I’m a huge Lord of the Rings fan. (As is evident by all references I’ve made in previous posts, my last newsletter, and the yearly marathons I have with friends and family.) But it wasn’t until a fellow author pointed out the roles of Christ Figures in the books that I realized they were there at all. Thank you, Lisa! Unlike most stories, instead of one character filling the role, three portray the different Christ-like aspects. Gandalf the Gray serves as the prophet, guiding the members of the Fellowship on their quest. He sacrifices himself to save them and comes back as Gandalf the White. He takes on the role that Saruman was supposed to have, helping the folk of Middle Earth by freeing Theodin, guiding hobbits, providing counsel, and fighting against the forces of Mordor. Frodo serves as the priest, carrying the darkness of the One Ring all the way from the green hills of the Shire to the fires of Mount Doom. Unlike many of the characters in the book, he shows extraordinary resilience to power of the Ring, and even shows compassion to Sméagol, even when he didn’t deserve it. Aragorn serves as the king. Like Jesus, he even has a less-than honorable ideal genealogy. One of Aragorn’s ancestors, Isildur had the opportunity to destroy the Ring but took it for his own, earning the Ring another title—Isildur’s Bane. Unlike his ancestor, Aragorn turned away the opportunity to take the Ring, and later went on to help liberate Rohan and Gondor, command an army of the dead, and rule Gondor. Controversy: Not only are the Christ Figures difficult to identify at first glance, but they are also controversial. While there may be three figures, the Trinity is made up of three figures (Father, Son, and Holy Spirit), not three Christs. On the other hand, Frodo ultimately gives in to the power of the Ring, and Gandalf is a wizard. Perhaps one of the most devastating instances of my fantasy-reading-career was when a lady from my church told me Tolkien couldn’t possibly be a Christian because he wrote about wizards. (See Controversy in Fiction: Magic.) But again, readers should consider that these characters are mere representations, not Christ themselves. Perhaps one of the most well-known Christ Figures, at least among fantasy fans, Aslan is the representation of Christ in the world of Narnia. In The Lion, The Witch, and the Wardrobe, he takes Edmund’s place on the stone table, sacrificing himself and later rising from the dead and defeating the White Witch. But it doesn’t end there. In The Magician’s Nephew, he helps create the world of Narnia; in The Horse and His Boy, he is the protector and the guide throughout Shasta’s journey; and finally, in The Last Battle, he serves as the just judge over the world. In fact, in each of the books, he portrays different aspects of his role. Controversy: Typically, I haven’t had a problem with the way Lewis portrays Aslan as a Christ Figure. But there is one instance in The Last Battle that has led me to question Lewis’ theology. Not only is the book the most abstract of all the Chronicles, but it is also the most inclusive when it comes to the final judgement. Emeth, a Caloreme and the servant of the false god Tash, is welcomed into the New Narnia by Aslan. That’s not to say that a Calormene couldn’t follow Aslan, for Aravis does in The Horse and His Boy. In the example of Emeth, readers get the sense that Lewis might have been a Universalist. While there are Christ Figures throughout Lowry’s The Giver Quartet, I have chosen to focus on the first because more people tend to be familiar with the plot. But I would definitely recommend Messenger (The Giver, #3), if readers are looking for other good examples of a Christ Figure. Jonas lives in a futuristic world, which at first glance, looks like a utopia. But as the story goes along, he begins to realize his society’s need for somebody to shoulder the memories of the past. Like Christ, he alone carries what society cannot bear to carry. In the end, he even goes out of his way to save Gabe and help his community in a new way. Controversy: Left by itself, The Giver leaves an open-ended question: Do Jonas and Gabe actually make it to a new society, or do they die in the attempt? And what does their death or their survival mean for Jonas’ potential for being a Christ Figure? While Goneril and Regan lie and flatter their father, Cordelia is honest, sometimes brutally so, much to her father’s disdain. Like Christ, Cordelia is cast out for being truthful despite her genuine love. According to David Bevington (Complete Works of Shakespeare), Cordelia’s loss of “the world in order to win a better world” parallels Scriptures such as the Sermon on the Mount in Matthew 5-7 and Matthew 19:21 and Luke 1:52. Controversy: Unlike the traditional Christ Figure, Cordelia is female. Similarly, her ultimate death does not save her father physically, though it may have saved him spiritually. This is such a complex story that after having discussions about it in college, I’m still not sure I understand it all. In this short story, not only do readers come to realize that good men are rare, just as only Christ was good, but they also see that it’s not always expected. Even though the Jews waited for the Christ for a long, long time (at least 300 year), when He finally came, they rejected him. Controversy: How can a criminal be a Christ Figure? Christ was arrested and crucified for upsetting the spiritual leaders in the Jewish faith tradition, but it’s not the same. What’s more, O’Conner didn’t even intend for her character to be a Christ Figure. This story could be an example of audiences reading too far into the plot and the characters. Or not. Other notable Christ Figures can be found in The Chronicles of Prydian, The Faerie Queene, Harry Potter, The Hobbit, The Hunger Games, Messenger, Methuselah’s Gift, The Space Trilogy, A Tale of Two Cities, Tales of Goldstone Wood, Uncle Tom’s Cabin, and Where the Woods Grow Wild. For the sake of space (and sanity), not every figure could be analyzed. I’ve heard it said that if you want to know how people view Christ, see how they write about Him. In the end, fictional representations of Christ are also representations of each author’s perspective. (Then you have the whole argument that writers don’t always agree with everything they write.) If readers are looking for a more accurate Christ, I would recommend reading Scripture itself. Nevertheless, Christ Figures often give stories meaningful themes that readers can reflect on for years to come. Literary references: The Lord of the Rings and The Hobbit by J. R. R. Tolkien, The Chronicles of Narnia and The Space Trilogy by C. S. Lewis, The Giver Quartet by Lois Lowry, King Lear by William Shakespeare, David Bevington’s The Complete Works of Shakespeare, “A Good Man is Hard to Find” by Flannery O’Conner, The Chronicles of Prydian by Lloyd Alexander, The Faerie Queene by Edmund Spenser, Harry Potter by J. K. Rowling, The Hunger Games by Suzanne Collins, Methuselah’s Gift by Mary Elizabeth Edgren, A Tale of Two Cities by Charles Dickens, Tales of Goldstone Wood by Anne Elisabeth Stengl, Uncle Tom’s Cabin by Harriet Beecher Stowe, and Where the Woods Grow Wild by Nathan Philbrick. Let’s chat! Who is your favorite Christ Figure in fiction? (Spoilers welcome with warning! 😊) Who is the most controversial Christ Figure you know of? Are there any major (or obscure; I like obscure) examples I left out?